NORMANS, again like any other programme has to achieve its goals within a constrained budget. Total procurement funds throughout Norwegian defence totalled $1.6b in 2010-11 a level unlikely to change in the coming year. Different projects are organized into six portfolios or Programme Areas in defence. Very large projects such as the F-35 and Logistics Project are handled individually. 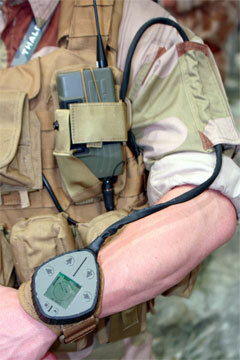 NORMANS is part of the Special Forces and Soldier Systems (SOF/SOS) programme area. Within Soldier Modernisation in Norway a number of individual programme come within the domain of soldier modernisation and Special Forces and Soldier Systems: P 4002 Digitization I, P 4003 Digitization II, P 4005 Medium Weight Machinegun, P 4013 Night Capacity, P 4014 Sustainability, P 4015 Mobility, P 4016 Less Lethal Weapons, P 4018 Self Defence Weapons II, P 4021 Pistol, P 4022 Anti-Tank Weapons P 4024 Crowd Control, P 4027 Close Quarter Combat Ammunition, P 4030 New Ammunition Types for International Operations, P 8317 Upgrade of 84 mm Carl Gustav and P 9517 NBC Protection. The project models used in Norway is PRINSIX which covers different phases in the project from concept definition to the disposal of materiel. The NORMANS concept is a modular concept where you have different soldier systems via modules which are both integrated and interchangeable with the different modules, This is the foundation for the Norwegian SMP and it is based on research and development. The procurement of NORMANS has a number of organisations as participants. These include; the Norwegian Defense Research Establishment (FFI); Concept development and experimentation via the Army Combat lab and the Norwegian Battle lab and experimentation (NOBLE) and the procurement of material, the Ministry of Defense (MOD) Norwegian Logistics Organization (NDLO). 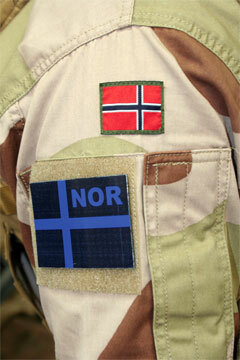 In 2009-10 Captain Engmo explained that NORMANS had digitized the Telemark battalion and that the digitization of rapid reaction force was next. Norway attended Bold Quest in 2010 and in 2011 the NORMANS equipment and the BMS will be integrated with and tested at this year’s Bold Quest. In terms of R&D a new effort, P1163 led by Rune Lausund at the FFI recently began. This covers several tasks: supporting MoD Soldier C4I projects, MoD Soldier Clothing & Protection projects, establishing a common understanding for integrated soldier system development and long term Soldier System research. Lt. Commander, Christoffer Eriksen, Technical Executive Officer, Norwegian Defence Logistics Organisation / Land Systems addressing the topic of reducing weight in Norwegian soldier systems said, “The baseline soldier carries approximately 35kg and that is not including his backpack and additional gear intended for the squad mission and specific equipment and so on. [In R&D] we are focusing mostly on clothing and protection and weapons systems to reduce weight.” The 35Kg is made up of 15Kg for ballistic protection and clothing, 11kg for rifle ammunition and grenades, 6Kg for food water and medical supplies and a further 3Kg for communications and night vision. Norway has also recently procured the new 5.56mm HK416 which is much lighter than the previous old 7.62mm G3 and it also has a smaller calibre so the ammunition is lighter too. Beyond this, reducing weight in small arms technology is being addressed in three time phases. In the short term weight savings of 20-25 percent are being examined through the use of aluminium ammunition casings. In the medium term this switches to the use of composite barrels using metal inner linersand in the longer term case ammunition is being considered. The FFI are also looking at new types of material and novel use of the existing materials for integrated chemical protection and they are trying to adopt a systems approach which enables modularity and tailoring of the actual protection. Instead of using one dedicated protection suit that Norway used to have in the armed forces the FFI are trying to use the current clothing as an outer layer and add an inner charcoal layer as the active protection. That has reduced weight by 40 percent over the baseline model. Capt. Engmo and Lt. Commander Eriksen were speaking at WBR’s Soldier Technology US 2011.